US military moving back into Doomsday base a decade after it was abandoned: Shield against EMP attack? 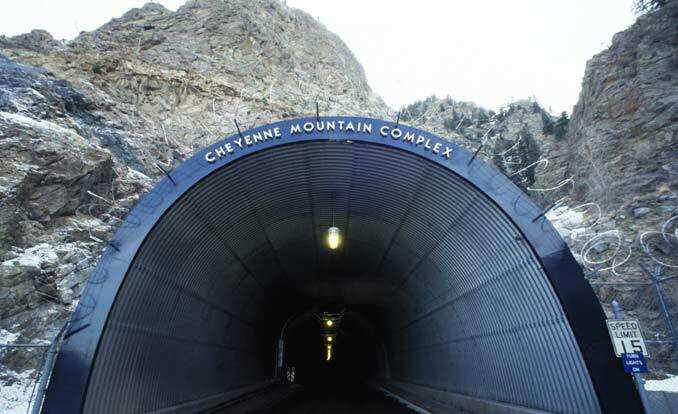 A decade after being shut down by the Pentagon, the U.S. military is moving back into the infamous doomsday bunker that once housed the North American Aerospace Command (NORAD), known as The Cheyenne Mountain Complex. 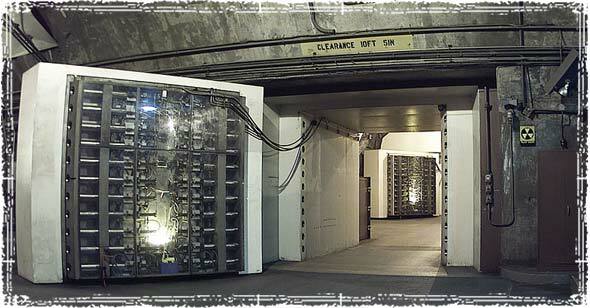 Built between 1961 and 1966, The Cheyenne Mountain Complex was designed to be impervious to a Soviet nuclear attack. The military installation was constructed under 2,000 feet of granite inside the Cheyenne Mountains of Colorado. During the height of the Cold War, it served as the United States Military’s primary command and control center against long-range Soviet bombers, ballistic missiles, and a nuclear attacks. 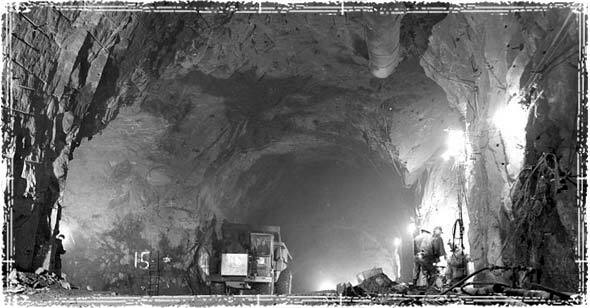 1962 construction photo from the inside of The Cheyenne Mountain Complex. After the fall of the Soviet Union, the Soviet threat seemed a relic of the past; so in 2006 the military abandoned the Cheyenne complex, moving its NORAD headquarters to Peterson Air Force Base in Colorado. But this year the military started mysteriously moving back into the Cold War Complex. Is the Military Preparing for EMP attacks? Although the military is pretty tight-lipped on exactly who is moving back into the Cheyenne complex, and refuses to specify the ultimate purpose of that move, it looks like some of the reasoning may be to protect the military from an EMP attack. Peter Pry, executive director of the EMP Task Force, a bipartisan congressional commission, is saying the move is meant to protect sensitive military electronics from a potential EMP attack. Pry said a $700 million contract, awarded to the Raytheon Corporation, will upgrade electronics inside Colorado’s Cheyenne Mountain facility. Since 2013, the Pentagon has awarded contracts worth more than $850 million for work related to Cheyenne Mountain. The move back into the Cheyenne Mountain base in Colorado is designed to help the military protect the command’s sensitive sensors and servers from a potential electromagnetic pulse (EMP) attack, military officers said. In a Pentagon press conference on April 7, 2015 Gortney told reporters that Cheyenne may still be needed. What is an EMP, and how big of a threat is it? An electromagnetic pulse (commonly referred to as an EMP) is a burst of electromagnetic radiation caused by the detonation of a nuclear device above the earth surface. In my opinion, this is one of the worst case scenarios that we can think of, because it could shut down the entire country’s power grid for years, possibly permanently. While a number of nations possess the technology required to launch an attack, how likely they are to do so is really up for debate. That being said, earlier this year Iranian plans were uncovered that detailed how their military could launch a strategic EMP attack on the U.S., targeting the nation’s power grid. While some say the risk is small, the fact that the U.S. military is moving back into the Cheyenne base suggests they have intelligence that the threat may be more serious than we’re being told. First thought hmm that can’t be good, obviously this secure location has it’s purpose to serve. Second thought I am thankful for our military, defense amd strategic defense teams whom have the needed knowledge and their efforts to prevent disasters. I give an applaud to US Millitary,and pray for Gods protection to each an every one of them there in EMP,just as they are moving down there,long lives the US Millitary. The US millitary moving to EMP,will also help them to protect their Nation,and i belive that they will succeed to relocate to EMP,may God help them achieve their target. I think we are all wrong about JH15…Its not to silence the people or anything like that…We are preparing for an invasion. The increase in ALL military activity makes this, IMO, blatantly obvious, especially since its focused along the west coast. I mean for god sakes, they are moving back into a complex that hasnt been active for decades, hoping it will protect from an EMP. That’s not exactly something that any small military would do, and not end up getting nuked off the face of the planet for. Why would they do this unless they had some intel making them think that there is some major credible threat? I’m not sure who would be stupid enough to invade a country where damn near every household has firearms and ammo, and is willing to defend their country to their last dying breath, but what I do know, is any foreign threat wont touch me or my family, so long as I am physically capable to prevent it. Boys, keep your powder dry and get ready for war. This wont be pretty. There are several super powers moving, in leaps and bounds I might add, to TRY and remove the crown from USA as the leading superpower. Of these are primarily China, and Russia. and remember DPRK is an ally to china, and they have been wanting to take us down for a LONG time, you really think China hasn’t supplied them with an ICBM by now? Would you believe it! And I thought it was the SGC. This is why each individual should be a little prepared also..its pretty easy to store three months of food aside and put some seeds away each year…there are web sites that sell Emergency Foods that last for 20 years…it sound a little crazy to talk like that but how much harm can it do to put things like…sugar..salt..honey..white rice and a few cans of freeze dried food away…if the bomb is dropped and your right under it…well you do not have to worry..but what if your not..what then…the grocery store will be empty in three days..
We have the weakest president in 100 years, the weakest military in 200 years and a voting population that has the collective intellect of a ham sandwich. Yes, we are ripe for the picking and I expect a coordinated nationwide terrorist attack any day. I think Iran and Russia have the potential to do something more overt. But when our dollar crashes, we will definitely be easy pickens’. Grab a hold of your shorts Jasper, things are about to get interestin’. I work with a bunch a sheeples. I’ve discovered that the risk is not small. It seems that an EMP is the preferred weapon of just about every enemy nation, and terrorists. Why? Because it’s cheap to develop and detonate. You can use a weather balloon and detonate it remotely at the appropriate altitude. In addition, it renders the area defenseless since cars, trucks, planes, electronics, communications, computers, etc. will cease to work in most cases. So the army cannot defend itself, the people will eventually die from lack of food, electric, medicine and resources, while retaining the infrastructure of the area untouched. Very clean and tidy. Russia has been the leader in EMP technology, it is the preferred weapon of Iran and Israel, for that matter, and we know that Al Quida have plans to use it, as well. I think the odds of being a victim of this weapon is much greater than many people believe. Would not the winds slowly cause the EMP blast drift around the world. ? Would it just linger in one area?